Neera Tanden, whose salary was $397,000 in 2018, was an unpaid adviser to Clinton’s 2016 campaign while running the think tank, and was considered a candidate for a top White House job had Clinton won the presidency. 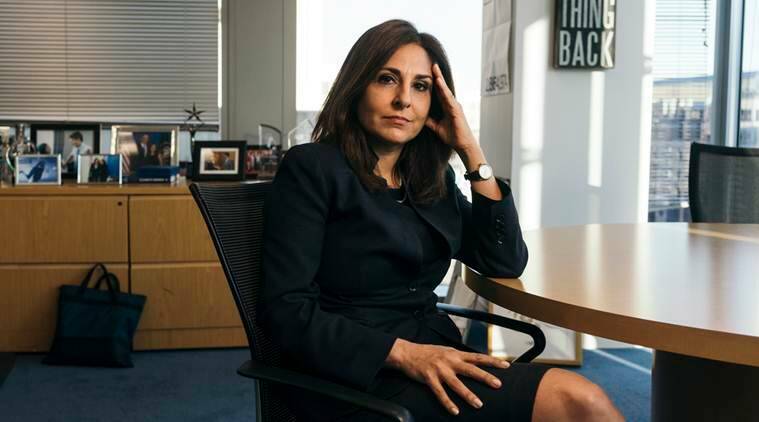 In 2008, Neera Tanden, then a top aide on Hillary Clinton’s first presidential campaign, accompanied Clinton to what was expected to be an easy interview at the Center for American Progress, the influential think tank founded by top Clinton aides. But Faiz Shakir, chief editor of the think tank’s ThinkProgress website, asked Clinton a question about the Iraq War, an issue dogging her candidacy because she had supported it. Tanden responded by circling back to Shakir after the interview and, according to a person in the room, punching him in the chest. The blowup is another reflection of the ideological divisions among Democrats, this time between a legacy Clinton organization and a liberal wing trying to move the party to the left to harness the energy of millennials. Sanders’ team remains convinced that the Democratic establishment worked behind the scenes to deprive him of the party’s nomination 2016; his campaign has cast the think tank as beholden to corporate interests set on thwarting him in 2020. The Center for American Progress and its sister political arm, with a $60 million combined annual budget and 320 staff members, have played an outsize role in the Democratic Party for nearly two decades. Founded in 2003 by top advisers to Bill and Hillary Clinton, the organization seeks to rebrand itself as a brain trust for the anti-Trump resistance. Its donor rolls overlap substantially with those of the Clintons’ campaigns and foundation. The think tank has taken in millions from interests often criticized by liberals, including Wall Street financiers, big banks, Silicon Valley titans, foreign governments, defense contractors and the health care industry. Individual donors can ask to remain anonymous. Money to the think tank from the personal foundation of Facebook creator Mark Zuckerberg surged to $665,000 in 2018 from $15,000 in 2017, while Facebook fended off scrutiny for mishandling users’ personal data, fueling violence and providing a platform for Russian election interference. Neera Tanden, whose salary was $397,000 in 2018, was an unpaid adviser to Clinton’s 2016 campaign while running the think tank, and was considered a candidate for a top White House job had Clinton won the presidency. Tanden says she has founded six new policy-intensive groups as president of the think tank and increased the center’s annual budget by 25 percent. From 2016 through last year, the center accepted nearly $2.5 million from the United Arab Emirates to fund its National Security and International Policy initiative, according to previously unreported internal budget documents. From the start, the think tank’s decision to solicit money from the United Arab Emirates, an ally of Saudi Arabia with a problematic human rights record, fanned internal dissent. A Center for American Progress spokeswoman said Monday night that the think tank decided in December to stop taking money from the country. Tensions boiled over in October, after Saudi-born Washington Post journalist Jamal Khashoggi was killed and dismembered at the order of Crown Prince Mohammed bin Salman of Saudi Arabia, according to an assessment by the CIA. Before the CIA’s conclusion became public — but while the crown prince was widely suspected of ordering the killing — the think tank had pursued plans for a joint panel on “the U.S.-Saudi relationship in light of recent events,” and had invited the Saudi ambassador to the United States, Prince Khalid bin Salman, the crown prince’s brother, according to an internal email sent by an official at the think tank to executives. But the Saudi ambassador fled the country, and the plan dissolved. Internal criticism of the Emirati donations leaked into the media, prompting an in-house investigation that led to the firing of two staff members. One of them, Ken Gude, a longtime executive of the think tank, is working with a lawyer on a wrongful dismissal lawsuit. In November 2015, after Tanden invited Prime Minister Benjamin Netanyahu of Israel to a question-and-answer session at the center, a dozen staff members stood during an all-staff meeting and read a statement of protest. “Our goal is to promote humanity and shut down oppression and genocide and terrorism. Bringing in another head of state with a record of oppression would further push our mission away,” it read in part. In an email Tanden sent on the day of the Netanyahu visit, stolen and released by WikiLeaks, she told the think tank’s founder, John D. Podesta, that the “far left hates me” for hosting Netanyahu, but the invitation “may have sealed the deal with a new board member.” Tanden was wooing Lavine, a pro-Israel philanthropist. The next month, Tanden wrote a jubilant email to Podesta, telling him Lavine was joining the board. “So Netanyahu was worth it,” she added, with a smiley face emoji. Lavine no longer sits on the think tank’s board, but his foundation remains a big donor. No other think-tank president rivals Tanden for 24/7 bellicosity on Twitter. She has told James Zogby, a pro-Sanders pollster, that “an army will rise up against this BS”; threatened Starbucks’ chief executive, Howard Schultz, with a boycott if he runs for president; and traded insults for two years with Jill Stein, the 2016 Green Party presidential candidate viewed by Tanden as a spoiler. Tanden, who rallied weeping staffers in the aftermath of Clinton’s loss, has expertise on domestic policy dates to the early 1990s. As an Obama administration official she worked to pass the Affordable Care Act and during the Trump administration called the think tank to the ramparts during Republicans’ efforts to repeal it. Under Tanden’s leadership the center launched a lobbying and social media campaign to save the health care act, including building a web portal that relayed the stories of nearly 3,000 people whose coverage was in danger. Now, as many Democratic presidential candidates drift left toward “Medicare for All” plans like Sanders’, the think tank is pushing its own plan, which, unlike Sanders’ plan, reserves a role for private insurance companies. Last week, the think tank held an off-record briefing and made follow-up contacts with reporters, picking apart the details of Sanders’ plan. In a fundraising email to supporters Sunday night, Sanders said the briefing was an effort “to stop Medicare for All and our progressive agenda,” by the think tank.